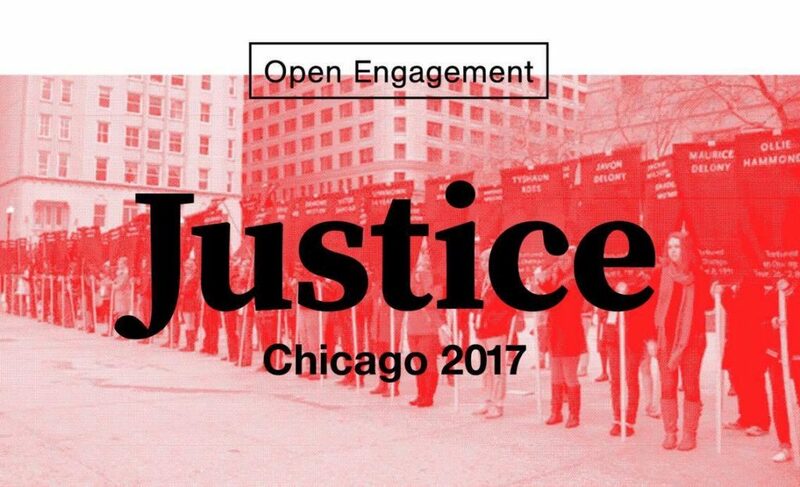 Open Engagement 2017 — JUSTICE will take place April 21–23, 2017 at the University of Illinois at Chicago and a constellation of sites across the city. 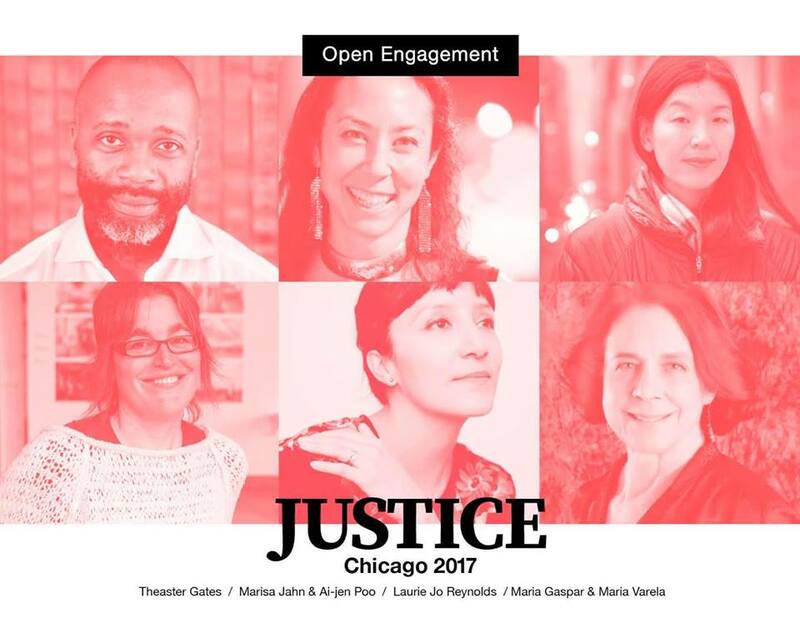 This year’s conference, guided by the curatorial vision of Romi Crawford and Lisa Yun Lee, will feature presenters including Theaster Gates, Maria Gaspar, Maria Varela, Ai-jen Poo, Marisa Jahn and Laurie Jo Reynolds. It will also feature a screening of our FIELDWORKS short documentary films and presentations by ABOG Fellows Rasheedah Phillips and Mark Strandquist and Courtney Bowles.